Miku VR has a launch date of March 8! 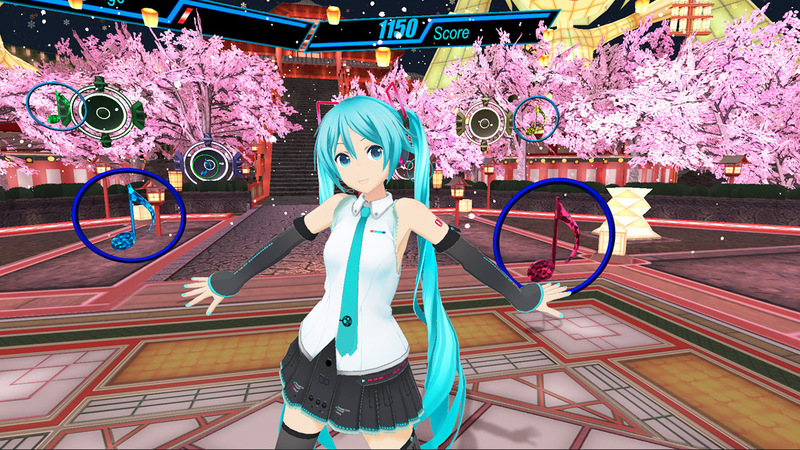 PLAY WITH MIKU IN VR! And I still don’t have a PC that can handle this game. But I will get one. Because I can’t resist my Miku in VR. That’s right. Degica Games has announced the release date for Hatsune Miku VR, the PC-only Miku title that gives you the full rhythm game experience while also enjoying the fact that MIKU IS RIGHT THERE DANCING IN FRONT OF YOU. Ahem. The publisher has also pushed out a Steam page. At launch there will only be eight tracks to choose between, but Degica has promised to continue to expand on this. One presumes for as long as the game continues to make money. Given that the eight tracks include Ievan Polkka, Senbonzakura, and Sharing the World I think the typical Miku fan will be happy with that because MIKU IS RIGHT THERE DANCING IN FRONT OF YOU. Ahem. God I love Miku. Voez will have a physical edition for the Switch! You know a game is successful when it gets a physical release... like Voez for Switch! Matt raved about the title when it was released for Switch, following its mobile release — I’ve only played on iOS but it’s a great game there too! Voez is a rhythm game where notes “fall” down the screen and have to be tapped in time. There are 50+ songs, each with 3 unique patterns, which equals 150 tracks to whet your appetite. Need more reasons to play? Adorable graphics and Japanese voice acting round out the awesomeness. The physical release of Voez for the Switch is currently set for North America, with no news of a European launch to date. It will be out this summer. A UK indie developer (Inkle Studios) is tackling one incredibly difficult challenge indeed; capturing the essence of language itself. Heaven’s Vault is an upcoming game for PlayStation 4 and PC in which players take on the role of an archaeologist, Aliya Elasra, as she explores ancient ruins and lost cities and tries to piece together what these places were like. She does that by trying to decipher language! The developers have built an entire hieroglyphic language to form the centre of the game’s puzzles and narrative. The translations that you make will feed back into the story, too, so if you get things wrong… well, you won’t be getting the whole truth of things. This is an ambitious, non-linear game, and if the developers can nail it, it will be a unique, beautiful experience indeed. There’s not enough respect or interest in people who work with ancient languages, but what they puzzle through, and what they discover through their work, can be truly amazing, so hopefully this game can capture even a fragment of that. Here’s the Japanese schedule for the Persona 5 anime! 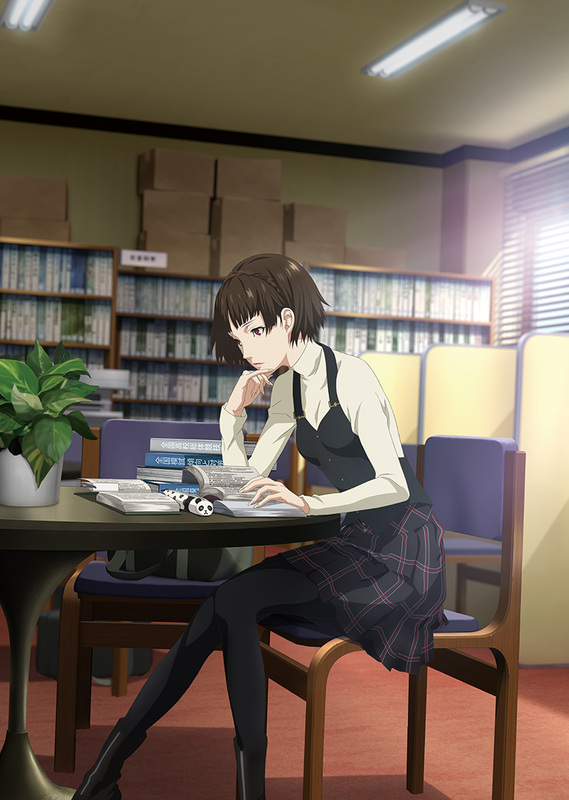 Persona 5 The Animation will air on seven different channels, simultaneously on six and slightly later on one. The Animation will begin airing April 7 and airs every Saturday at 24:30; channels you can find it on at that time is Tokyo MX, Gunma TV, Tochigi TV, MBS, BS11, and AbemaTV. On GYAO, it begins airing April 9 and 12:30 and will continue to air in that spot on Mondays. If/when there is a Western release for P5 The Animation, we’ll be sure to let you know. Until then, let’s all move to Japan!